Ships tomorrow if you order in the next 19 hours 43 minutes. 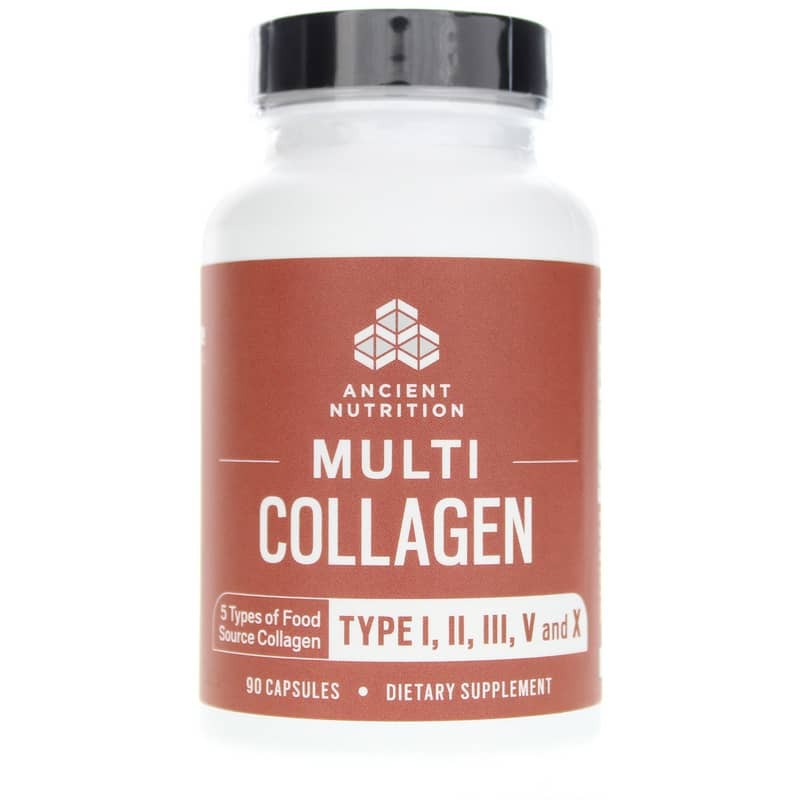 Dr. Axe Multi Collagen Protein from Ancient Nutrition provides five collagen types (Collagen Type I, II, III, V and X) from four different food sources PLUS clinically studied Organic Ashwagandha and Organic Amla Berry Extract. 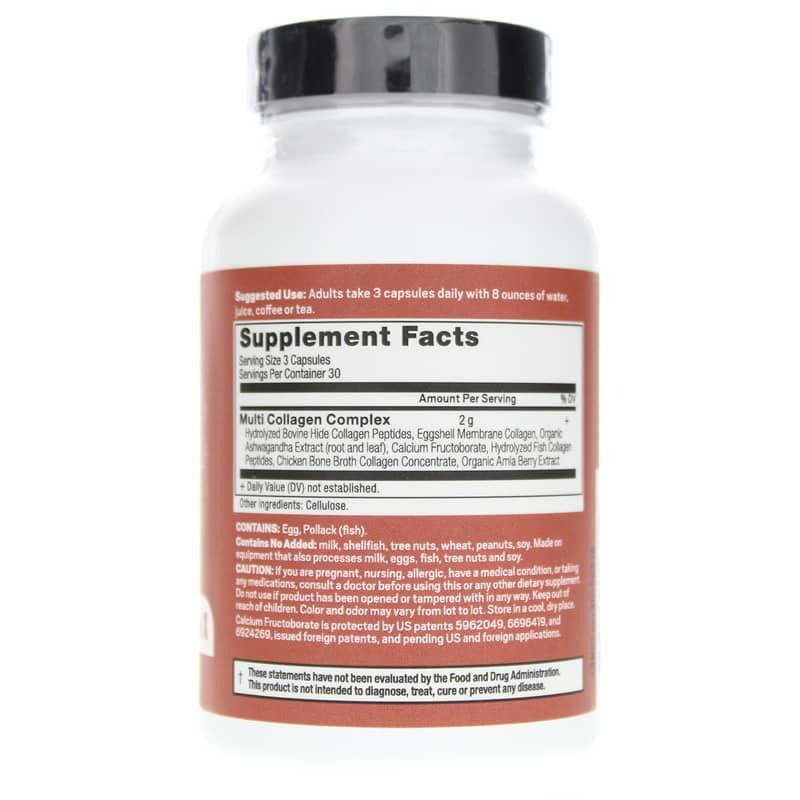 ---Hydrolyzed Bovine Hide Collagen Peptides, Eggshell Membrane Collagen, Organic Ashwagandha Extract (root and leaf), Calcium Fructoborate, Hydrolyzed Fish Collagen Peptides, Chicken Bone Broth Collagen Concentrate, Organic Amla Berry Extract. Adults: Take 3 capsules one or more times daily with 8 ounces of water or juice. Not intended for children. If you are pregnant, nursing, allergic, taking medications or have a medical condition, please consult your doctor before use. Keep out of the reach of children. What a relief -- after trying some other worthless products, I have finally got a great product,!! After only less than 1 week it has already gotten rid of my aching knees.by 90%. !! It's worth every penny -- Some products are a lot higher priced and do nothing . Thank you Dr. Axe - Janell C. in Las Vegas, NV. Love this multi collagen formula!! Nails are growing strong and healthy for the first time in 10 years! Started taking them due to a recent back fusion surgery so hopefully they're working on the inside as much as the outside of my body. Shipping time was quick also. Love this product!